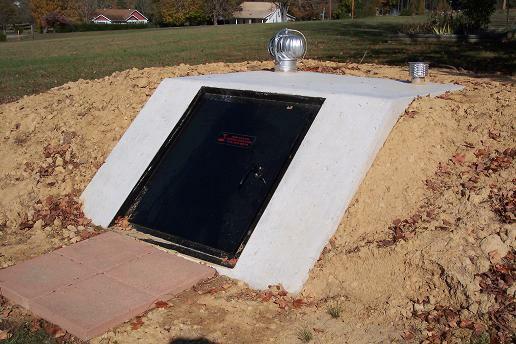 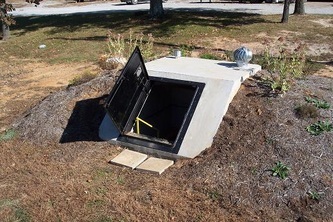 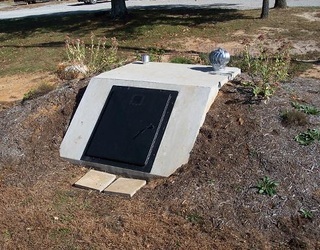 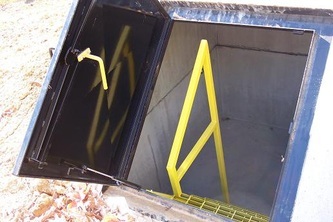 Our concrete storm shelters are the best in South Carolina. We use 5000 psi concrete with steel fibers as well as 3/8" rebar to insure that our shelter can withstand extreme weather conditions. 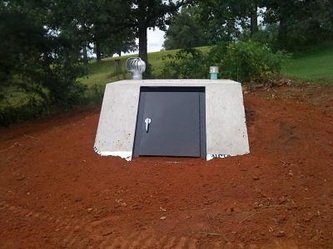 Our Doors are poured integrally into the concrete itself to give it added strength and security and have a 3 point latching system to insure your safety. 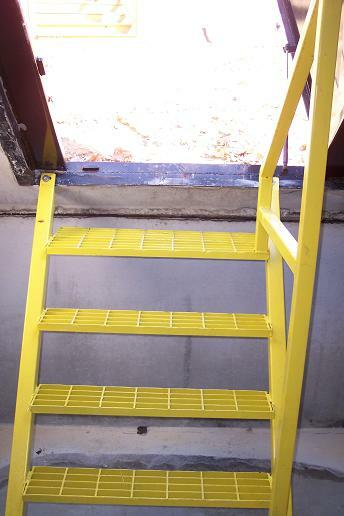 We install all steel steps that will last you a lifetime. 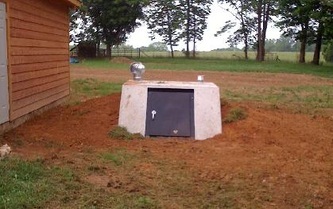 Electric can be run to the shelters for lights and a 110v outlet, but will have to be installed by a licensed electrician. Our shelters meet or exceed FEMA specs.